Do You Have A Water Damage Restoration Project We Can Help With? Not sure where to begin when unexpected frozen water pipes break? Did a heavy storm hit and leave a flooded basement in its wake? If you need any water damage repair and water removal assistance, we are here to guide you through the entire process of restoring your home or business. We work one-on-one with your insurance company, supply temporary storage, pump out excess standing water, remove hard water stains from walls and floors, and dry and sanitize the property to help restore balance. We offer 24 hour, 7 day a week assistance to consult, assess fire damage, and help you find temporary shelter– even in the middle of the night. We also do everything necessary to preserve the contents of your home or business and to keep you operational with temporary board-up, emergency water removal/pump -out, and temporary power and heating. Experienced in roof leak repairs and stabilizing structures after large flooding takes place, we ensure your business or home is completely protected from the elements and any further damage by tarping and boarding up exposed areas. Whether you need storm and heavy rain cleanup, burst pipe repair, or mold removal services, we are prepared to restore areas affected– no matter the scale. We provide temporary storage to protect belongings after any water damages harm your home or business in order to keep them dry and safe while your property is being rebuilt. Water-logged carpet can often be saved through our three step restoration process. We have the equipment to thoroughly sanitize, dry and deodorize carpeting and floors to restore them back to their original condition. We use the best carpet cleaning solution on the market and can eliminate all traces of the damage in most cases. We respond immediately, rebuilding after residential or commercial damage has ruined part of, or all your structure. Our construction company handles emergency leaky roof repair, concrete foundation repair, wall leaks, and any other property damages that have occurred. 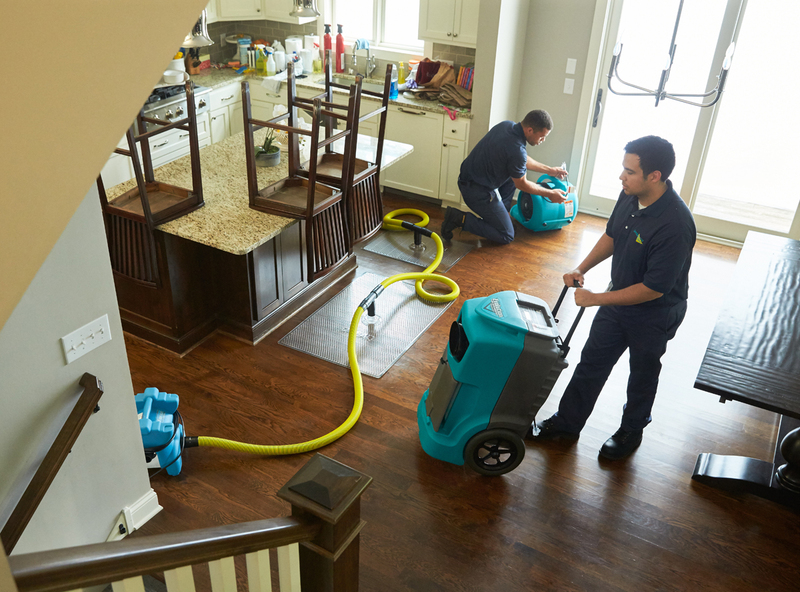 Following a basement flood or other water damages, we sanitize and deodorize areas and items affected by wetness or mold (such as walls, carpets, fabrics, drapery, upholstery, furniture and other contents in your home or business). Our professional cleaning services aim to refresh and recover your space by removing offensive odors and stains.